What’s irresistible about an ethnic wear? The aura it creates around your personality, right? 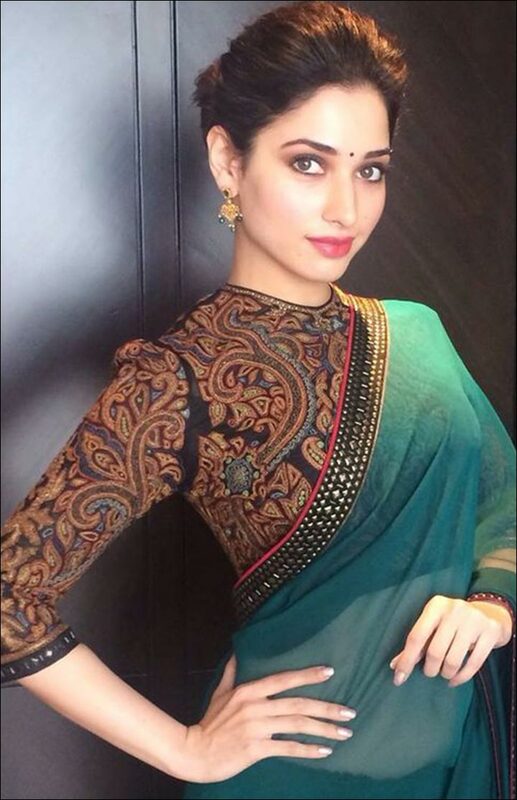 Whenever we wear a saree or a lehenga, picking the right blouse is key to look stunning. Yes, a blouse can make or break your appearance. From traditional to designer blouse, there have been many patterns and designs. Women choose them willingly to stand out. If you are someone who is still confused as which blouse to opt for, find our hottest picks below. These designer blouses will set you apart from others. 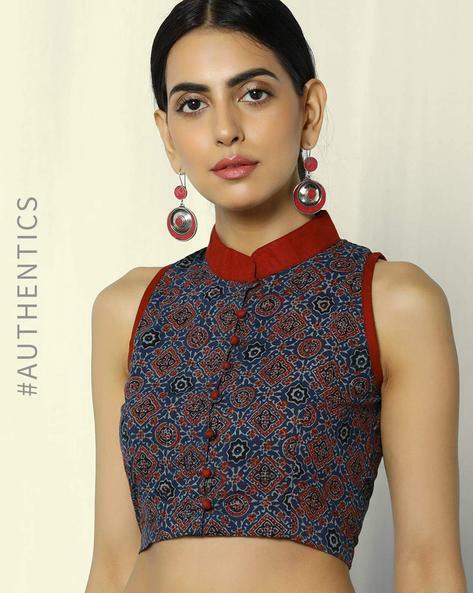 Women today are bold enough to experiment with their ethnic wear. With sensuous cut and flirty but elegant exposure, backless blouses are trending. They might seem exposing but will keep your womanly dignity intact when you carry it right. These are great for weddings and night parties. Women who have house-glass body would look gorgeous in this. Halter neckline is although a western pattern, it has swooned women with its appearance in Indian ensembles. The indo-western neckline is now the oh-so-trendy pattern for readymade blouses these days. Either they come with an open back or a netted one; it depends on your choice. Formal parties would be great to flaunt these beauties. High neck blouses are for women with tall stature. Those who have a long and slender neck should try this pattern. It will add to their impressive personality. What’s cool about this design is that it has less skin show and is elegant. Make sure to wear your pallu or dupatta of the lehenga with thin pleats to highlight the blouse. No worries, if you want a blouse with no exposure. Mandarin or closed neck ones are there to save you. They feature a collared design with buttons going upward till your neck. They leave zero or no space for any possibility of skin show. Those having broad shoulders should opt for this style. Based on your preferences you can get the sleeves of the blouse done in long or half style as well. Inspired from gowns, sheer or illusion neck blouses are latest trends. They feature net fabric around the neck that gives it an illusion of a neckline. These are great to be flaunted in parties and weddings. If you have a slender figure, opt for this style. Tired of buttoned or zipped necklines? 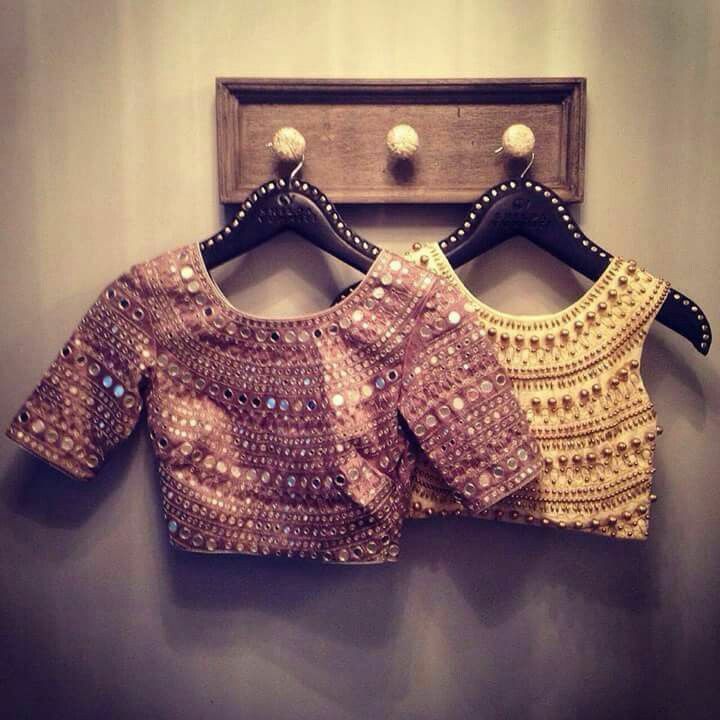 Give choli style blouses a try. Known for their steamy hot avatar, they are latest craze among women. In fact, many celebrities like Kareena Kapoor, Deepika Padukone and Priyanka Chopra have been spotted wearing this style. If you don’t have time to get one stitched, just buy a designer blouse online and you are done. You can find designer blouse online in the exact measurements. Online shops also feature various designs and patterns that are making a round in fashion world. So, go get yourself one and stay ahead of the fashion race.